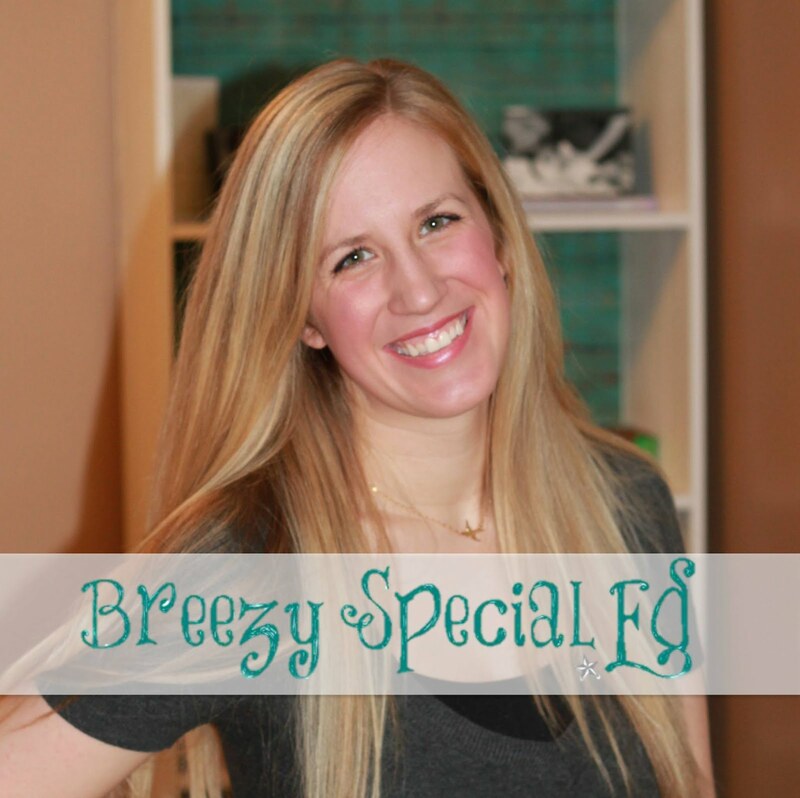 In case you haven't figured it out yet, I love file folders! Here's yet another one of my file folder obsessions...all about clothes and doing laundry! 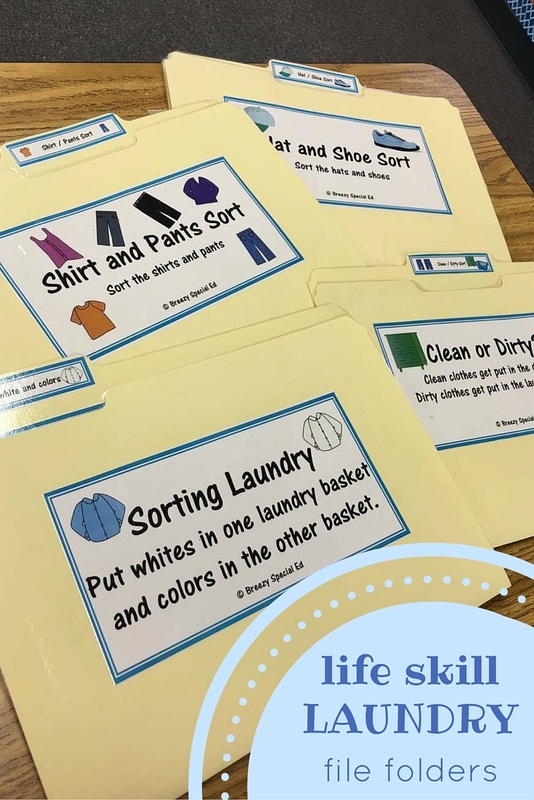 I love using file folders because they are so easy to store and a great way to practice life skills when you are at a desk. Plus, my students always think they are playing games with file folders too. I have my students sort clothes in a variety of ways. 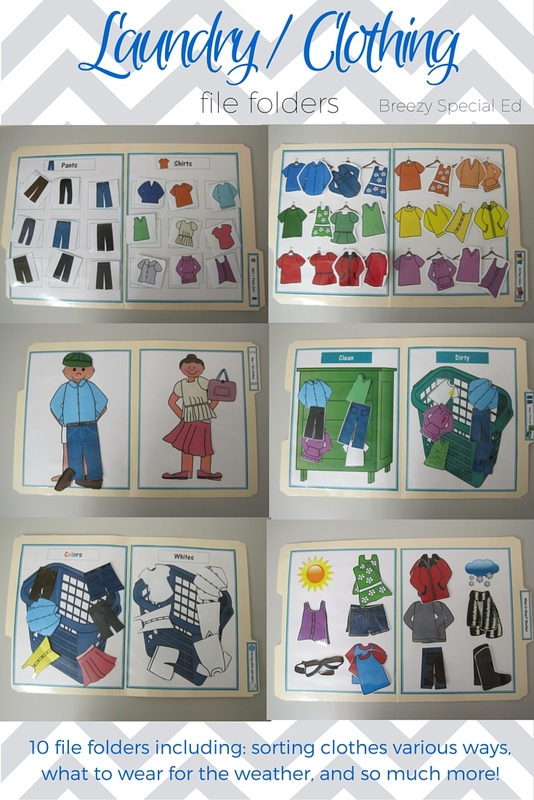 First, I have students sort clothing by color. 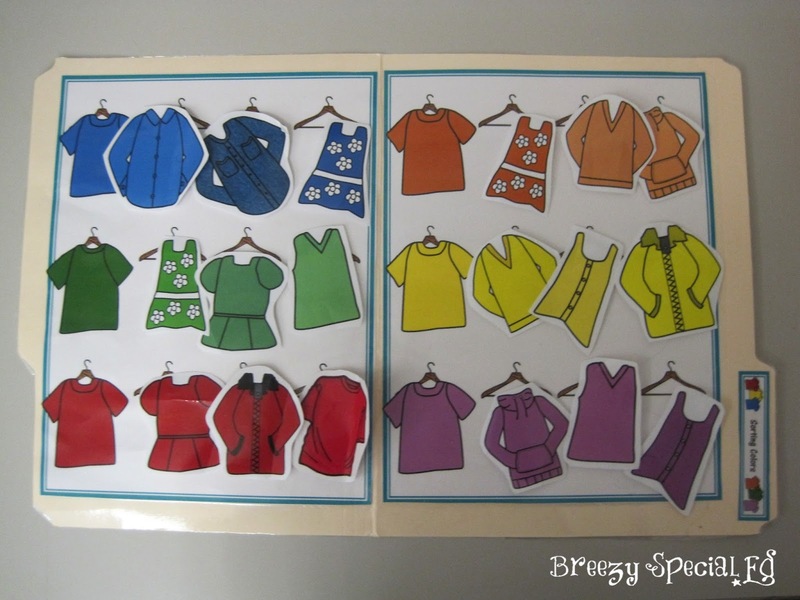 This is a great skill that transfers to jobs in many thrift stores, where they may organize clothing by color. 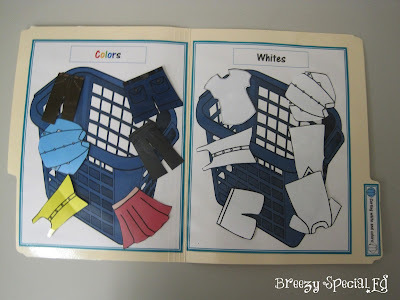 Next, I have students sort between colors and whites. As we all know, this is an essential skill for doing laundry! 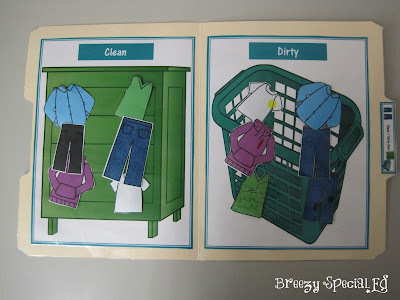 Another way students sort clothing is by putting the clean clothes in the dresser and the dirty clothes in the laundry basket. 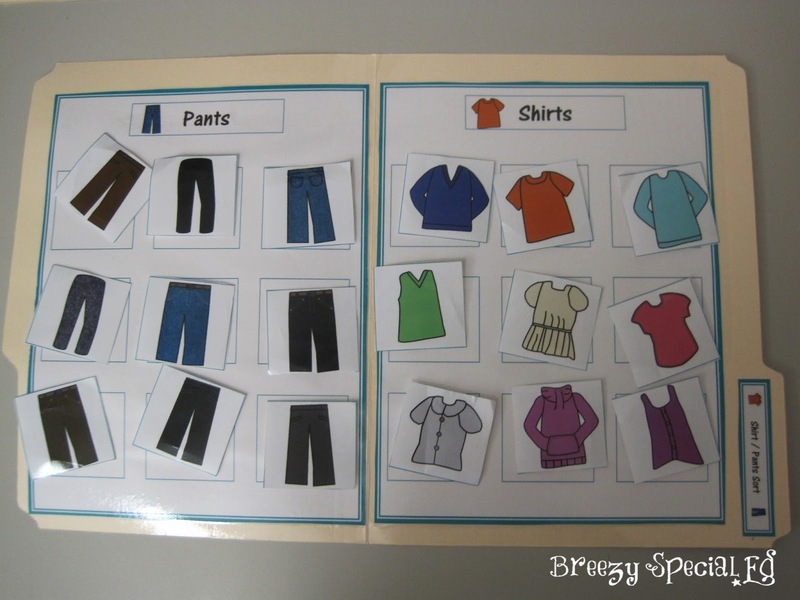 Another great skill for sorting clothing is sorting by size. (Sorry I don't have a picture of this one, but it includes tags sizes XS, S, M, L, and XL for students to separate). 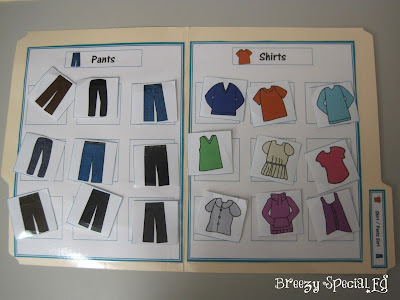 Students can also separate clothing by warm or cold weather. 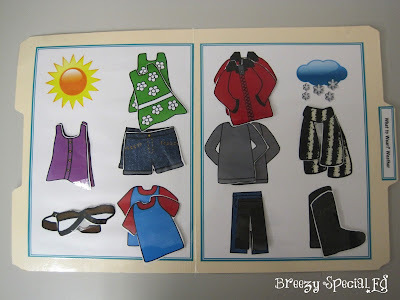 There is also another file folder to sort people that are dressed for warm or cold weather as well. Finally, a couple basic sorting activities include shirt/pants and hats/shoes and people dress for the weather.